Important Alert: Breath test evidence is not currently being used in Massachusetts OUI cases. If you took a breath test it will not be considered as evidence. If you have prior cases where a breath test was used, you may be eligible to have the conviction vacated. At DelSignore Law, OUI Defense and Criminal defense is the sole focus of our practice. We handle OUI cases, license issues, Board of Appeals cases, OUI cases involving accidents and immediate threat suspensions, OUI drugs charges, as well as domestic assault and battery, magistrate hearings, drug charges and other felony and misdemeanor charges. Massachusetts OUI lawyer Michael DelSignore has taught other lawyers on OUI Defense, published 2 books on Massachusetts OUI Laws and has been quoted numerous times by the media on OUI Law, including by the Boston Herald, Boston Globe, Attleboro Sun, Worcester Telegraph and Patriot Ledger. This website is designed to answer your questions and provide you the most useful information to understand the law and help you make an informed decision about the best way to handle your criminal case. You Can Trust Attorney DelSignore with your Drunk Driving Case. 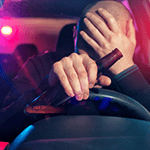 Many people are tempted to simply plead guilty to drunk driving or other charges. They may hope that the matter will simply go away, but a criminal conviction and record may affect the severity of the penalties that you face in the future if you are ever charged again. A criminal record may also carry various adverse social and professional consequences. Michael DelSignore is an experienced OUI attorney serving Massachusetts residents from his office in Bristol County. Attorney DelSignore can provide the knowledgeable and aggressive representation that you need to keep your record clean and get your life back on track. Attorney DelSignore is a published author on topics related to OUI and criminal defense. He has built a strong reputation in the field, winning many victories in court for good people in difficult situations while also being quoted by the media regarding these issues on numerous occasions. Our website is designed to answer the many questions that a defendant and their loved ones may have about the specific charge that they are facing and the potential legal options at their disposal. You can also learn about the successes that we have obtained for our clients. You should not assume that you will be convicted. An experienced Massachusetts OUI lawyer can look at your case closely to determine whether procedural errors may have been made and whether your constitutional rights may have been violated. For example, to pull you over, a police officer must have a reasonable suspicion that you have broken the law, are breaking the law, or are about to break the law. A reasonable suspicion must be something that the officer can articulate; it is more than just a hunch. If there was no articulable reasonable suspicion to pull you over, the court should suppress the evidence from the stop. Also, the Breathalyzer devices used to test BAC must be carefully calibrated and properly used by law enforcement for the results to stand up in court. In other situations, a driver may have a specific medical condition that affects their performance on the field sobriety tests that law enforcement conducts to determine their level of impairment. These are just some examples of the defenses that drivers may be able to assert, depending on their circumstances. Even if your license has been suspended for an OUI, you may be able to obtain a hardship license from the Registry of Motor Vehicles so that you may continue to go to work or school. Attorney DelSignore can assist you not only with the criminal case related to your drunk driving charge but also with the administrative proceeding. Hardship licenses are generally available within three business for first-time offenders and for some second time offenders if there has been a sufficient amount of time from the first conviction to treat the second offense as a first offense. (Other second-time offenders may be able to receive a hardship license after one year.) However, it is important to show sufficient proof of hardship to the hearings officer at the Registry of Motor Vehicles. An OUI attorney can assist Massachusetts residents with this process. The Scholarship for Success is awarded to one student for their personal essay describing the hurdles they faced on their path to academic success. Students who met these challenges with hard work and dedication to their studies are encouraged to apply for this $500 award. For more information about eligibility and application instructions, please visit the scholarship page. Driving under the influence of alcohol is a crime in Massachusetts. Your maximum blood alcohol content may be up to .08% if you are an adult. For people under 21, the maximum blood alcohol content is .02% with regard to administrative proceedings, but it is still .08% for the purposes of criminal court. In addition to drunk driving, driving under the influence of marijuana or other drugs is also a crime. For a conviction of a first offense, the penalties consist of a fine between $500 and $5,000, imprisonment of up to two and a half years, or both. Although it is rare for someone with no other criminal record and a first offense to go to jail, it may be important to retain an attorney to avoid other penalties that may disrupt your life. We also represent Massachusetts residents facing a variety of other charges, including assault and battery, domestic violence, drug crimes, gun offenses, larceny, shoplifting, motor vehicle offenses, and other crimes. What the prosecution must prove in each type of case depends on the specific elements of the offense charged, but virtually any crime needs to be established beyond a reasonable doubt. For example, when charging assault, the prosecution in Bristol County or elsewhere in the state must prove beyond a reasonable doubt that the defendant either tried to use physical force against someone else or threatened to use physical force in the immediate future. Attorney DelSignore was featured on Worcester News Tonight on the status of the breath test in Massachusetts. Each situation is different, but in some cases involving violent crime charges, there may be evidence of self-defense. If there is evidence of self-defense, the prosecutor must prove beyond a reasonable doubt that you were not simply defending yourself. The force that you used to defend yourself must be reasonable rather than excessive. For example, if the other party started hitting you, and you hit back, this is likely to be seen as reasonable self-defense. However, shooting a gun at someone who punched you may be disproportionate. The jury may consider the strength of both the defendant and the alleged victim, which weapons were used, if any, and whether the defendant had a way to retreat. By contrast, defenses to marijuana possession or other drug charges may be related to the Fourth Amendment protection against unlawful searches and seizures. To meet its burden of proof in these cases, the prosecution often needs to supply the tangible drugs supporting the charge. However, these may have been seized in violation of the defendant’s constitutional rights if the police acted without a warrant or probable cause. If this seems to be the case, a knowledgeable Massachusetts criminal defense attorney can argue that the evidence should be excluded, which may force the prosecution to drop or reduce the charge. Other potential defenses may include a lack of control over the substance. 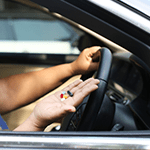 Just being in the same house, apartment, or car with the drugs does not necessarily mean that the defendant had sufficient control to be charged with possession. Being charged with your first drunk driving charge can be a daunting experience. What happens at the first court date? How long does the process take? What is a continuance without a finding? It is easy to feel overwhelmed and unsure of what can be done to get the best outcome possible. When you can get your license back? A first offense OUI is a misdemeanor offense; you are not likely to go to jail for the charge. Is a CWOF a Good Deal on a First Offense Massachusetts OUI charge? Massachusetts First Offense OUI What Are the Common Penalties if You Are Charged With a First OUI Offense in Massachusetts? The most important initial consideration when charged with a second offense OUI is to understand the license loss. It is a three-year suspension if you refused the breath test. The length of your license suspension, if convicted, depends on how far apart your two OUI offenses were. If more than 10 years apart, you face the possibility of a much shorter license loss. If the offenses are within ten years, you face a two-year license loss. Once you understand the various license implications and discuss them with an OUI lawyer in Massachusetts, you can decide whether to pursue take your case to trial or contest it. 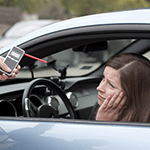 What Are the Second Offense OUI License Consequences in Massachusetts? Reasons to Go to Trial What is a Cahill Disposition in a 2nd Offense Massachusetts OUI Charge? The legal terminology in a third offense OUI can differ slightly, and you may feel alone and overwhelmed in the process. A Third Offense OUI has serious consequences, and it is critical that you have an experienced OUI attorney to represent you at arraignment. A third offense OUI involves mandatory jail time upon conviction. You may face a steep cash-bail amount, but the judge will consider factors presented by your attorney. In an OUI accident case where you were brought to the hospital, you may not have a court date immediately; if you did not get a citation at the scene, it is likely you will get one soon. You should not call the police department looking for it. When there is a delay between the incident and your receiving the citation that can be a defense to the case. 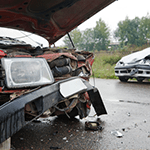 What is the status of your license after an accident? If you were brought back to the station, it will likely be suspended based either on the refusal or the breath test being over .08. When you are brought to the hospital, there is no suspension; but you could face an immediate threat suspension, which is something you would receive in the mail shortly after the incident. Your accident may have not been related to the consumption of alcohol. Another driver may have caused the accident. You may have been tired behind the wheel, which ultimately led to an accident. An OUI drug charge can be an intimidating charge to face. However, not many people know that it is actually difficult to prove an OUI Drugs charge in Massachusetts. What is important to know is that the scientific reliability and accuracy of these tests can be challenged in court because they are not 100% reliable. The Commonwealth must prove exactly which drug caused your impairment. The police officer may have used a variety of tests to assess your mental and physical coordination in order to establish whether or not you are under the influence of an illegal drug. The police might have also requested a blood or urine sample to support their determination. A domestic assault and battery charge can be complicated and is not always as easily resolved as one may think. If the prosecutor has enough evidence to prove the case without the victim’s involvement, they may still attempt to pursue the charge. Due to the nature of the relationship between the individuals involved, emotions can fluctuate, and the law may not always complement the desires of those involved. Often, the police may be called during the heat of an argument, and both parties may settle their issues between themselves and be back in a relationship before the next court date. Although it is easy to assume that a charge will be dismissed if the “victim” decides they no longer want to press charges, this is not always the case. If the prosecutor has enough evidence to prove the case without the victim’s involvement, they may still attempt to pursue the charge. Will a Domestic Assault and Battery Charged be Dismissed if My Wife Does Not Wish to Press Charges? How Long Will It Take for a Domestic Assault and Battery Charge in Massachusetts to be Resolved in Court? When is a Domestic Assault and Battery a Felony or Misdemeanor in Massachusetts? If you are facing a drug crime charge, you may be feeling anxiety over the future of your case and how the case will affect your personal future. Drug crime charges can have complicated consequences, from legal consequences such as jail time to life consequences such as job loss. Drug possession charges can come in different forms, including distribution charges and trafficking charges. The charge will often depend on the amount of drug that was seized by law enforcement, since this will determine what the Commonwealth will ultimately decide your “intent” was. 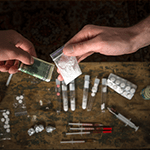 Drug crimes require a thorough defense, since it is often possible to obtain a reduction in the level of charge being brought against the individual. A criminal record may haunt you far into the future, affecting your ability to get a job, drive to work, obtain a professional license, or live in the home of your choice. When so much is at stake, there is not a time to cut corners or take chances. Regardless of whether it is your the first or fourth DUI charge that you are facing, it is critical to retain a skillful Massachusetts OUI attorney. Michael DelSignore has dedicated his legal practice to defending people who need a drunk driving lawyer or representation in other criminal cases in Bristol County or the surrounding areas. 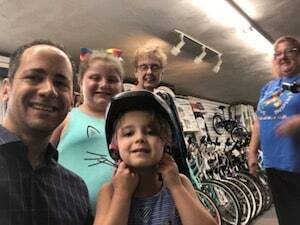 Delsignore Law Bikes for Kids Giveaway 2019! It’s not too late to nominate a deserving child to win a free bicycle! We are asking parents, family members, teachers, or anyone who knows a child that has accomplished something special to nominate the child to win a FREE bike! Why is the breath test not currently being used in Massachusetts OUI cases? on the lawyer review site Avvo.com! DelSignore Law has over 43 reviews from clients in 2018. Read our 2018 client reviews here! Through a recommendation, I met with Attorney DelSignore and upon our first meeting, I knew he was the best attorney to represent me. I was pulled over for my very 1st OUI offense in the summer of 2016; thus began a year long journey of court date after court date. Through it all, Attorney DelSignore was by my side and kept me well informed about the status of my case along with the court process. After a year of waiting my trial date was finally here; Attorney DelSignore and his team were able to produce a NOT GUILTY verdict. Trust Attorney DelSignore; he knows OUI laws inside and out and you will not regret having him as your lawyer. I am so grateful to Michael. I would recommend him to all of my family and friends who may need a criminal defense lawyer in the future. I met with Attorney DelSignore after reading reviews of him online; I thought he was professional and genuine, and to no surprise, he was extremely reliable throughout my entire case. Whenever I had a question, he would make it a priority to get back to me, and he always kept me up to date with what was going on in the court process. My case went to trial and it was impressive to see how skilled he is in the courtroom; we ended up winning my case as I was found not guilty. Hire Attorney DelSignore, you will not regret it! After being arrested and charged with OUI and negligent operation, and after an extensive search online and talking to several attorneys, I decided to hire Attorney DelSignore. He was able to get the prosecution to agree to a continuance without a finding on the negligent operation charge, and he advised me to elect a bench trial. At trial, Attorney DelSignore began his cross examination; his skills in relation to his ability to effectively cross examine the officers were impressive. He offered alternatives to the prosecutions version of the events that day creating which ultimately created reasonable doubt. I was ultimately found not guilty. Thank you DelSignore Law! I have to say, hiring Attorney DelSignore was the best decision we could have made. We read a significant amount of positive reviews online, consulted with him in his Stoughton office, and took the time to discuss, with him, our legal options. While there were many options available to us, we decided to hire Attorney DelSignore to represent my son who was facing an OUI charge. Attorney DelSignore is extremely knowledgeable and very skilled in the court room; he was masterful at creating reasonable doubt in the case and kept me informed through the entire court process. Attorney DelSignore came well prepared for trial and destroyed much of the officer’s testimony. I would highly recommend Attorney DelSignore for anyone facing criminal charges.